Chinese Premier Li Keqiang inspects an honor guard mounted by a detachment of brigade of guards on his arrival at the presidential villa in Abuja, Nigeria this week. On his current weeklong tour of Ethiopia, Nigeria, Angola, and Kenya, Premier Li Keqiang announced a new $12 billion aid package intended to address China’s “growing pains” in Africa. China is by turns lauded for bringing development to the continent and chastized for what some see as a neo-colonial engagement that's too exploitative of Africa's natural resources. Whatever the view, one thing is certain: China is in Africa to stay. We asked our contributors, new and old, in China and Africa, to assess Beijing's progress so far. China is benefitting more than African countries from the recent expansion in Africa-China ties. In particular, the PRC government has been meeting its main goals for engagement with Africa—gaining access to natural resources and markets for Chinese goods and services, which it introduced as part of its “going out” strategy in 2001. African governments, on the other hand, have been seeing mixed success in their efforts to use closer relations with China to achieve political, economic and human development goals. African governments are seeing more mixed results from their engagement with China. Closer economic relations with China have certainly helped to fuel Africa’s economic growth by spurring high commodity prices and investment inflows; trade with China now accounts for 16 percent of the continent’s total foreign trade volume compared with just 4 percent in 2000. However, trade with China has also increased African countries’ resource dependency—more than 80 percent of Chinese imports from Africa consist of natural resources and more than half of Chinese foreign direct investment in Africa is in the petroleum industry. This has led the IMF to cite Africa’s dependency on commodity exports to China as a major risk to the continent’s sustainable growth. In politics, African leaders value ties with China, as Chinese leaders treat their African counterparts with respect on the international stage and stress the sovereignty of their countries. However, engagement with China has also created headaches in domestic politics as opposition leaders, civil society activists and non-governmental organizations in some countries take ruling parties to task for turning a blind eye to Chinese companies’ labor and environmental violations. The closer ties between China and Africa have also led to mixed outcomes in terms of human development. While Chinese development assistance programs have led to tangible progress in education, healthcare and rural development, Chinese exports to Africa have diminished economic mobility by contributing to a loss of local manufacturing jobs. Chinese Premier Li Keqiang has been stressing the importance of using China-Africa ties to achieve sustainable development during his current trip to Africa. Achieving this will require African leaders to move beyond short-term, self-serving logics of foreign policy to deliver more farsighted, responsible and transparent governance domestically and in their relations with China and other countries. Only then will Africa-China ties be truly mutually beneficial. China’s charm offensive in Africa, which has cost untold millions, simply isn’t working. China has invested tens of millions of dollars in hospitals, medical teams and other forms of outreach intended to bolster its soft power in Africa. Yet China is often viewed with a range of doubt from skepticism to downright suspicion. There is little reason to question intentions behind China’s aid campaigns in Africa—while aid from everywhere is most certainly tied to political intent, China’s contributions to health and other parts of society that need new funding are important and valuable. But as with China’s failed soft power outreach around the developing world, the problem has been in the execution. An example: The Chinese medical team I met in Kampala, Uganda, in late 2012 was doing an admirable job and had hundreds of eager patients. They were also running an illegal backdoor pharmacy. Sure, the anti-impotence medicine was popular in Uganda, it just wasn’t licensed or regulated. Imagine if Médecins Sans Frontières were selling Viagra for profit in Uganda without a license. Even as the Chinese government has poured millions into construction projects and medical teams, it has done little to understand how to engage local communities and understand what people find appealing beyond consumer goods. More importantly, is has done very little to stop an outpouring of illegal immigration and dodgy businesspeople who have set up shop across the African continent. An ongoing barrage of fakes—from innocuous items like cheap and short-lived cell phones up to more deadly counterfeits like medicals to treat HIV/AIDS—is flooding the continent. While there’s no evidence the fakes come in under China’s official banner, the Chinese government’s failure to dam the flood has done great damage to its reputation. Fakes and frauds have likely done far more damage than its heavily invested Confucius Institutes have accomplished in convincing people from Kigali to Capetown that Chinese culture is superior to that of the West. If Premier Li Keqiang (who announced a new $12 billion aid package during his trip this week) truly intends to address China’s “growing pains” in Africa, he’ll need to make an honest assessment of what China can do to reign in bad behavior of those who damage its credibility. 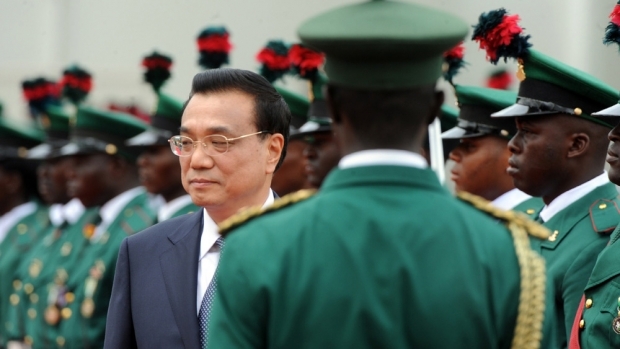 Li Keqiang’s visit should also make us question African governments. As I write this, South Africans are queuing around the block to vote in the country’s fifth democratic election. Since the last time they all lined up to vote for the African National Congress, South Africa’s economy has become only more entwined with China’s. The Johannesburg Stock Exchange swells and shrinks in rhythm with China’s breath. The fate of the ruling party increasingly depends on commodities imported to Dalian, Tianjin, Qingdao, and other Chinese ports. As Premier Li Keqiang travels through Ethiopia, Nigeria, Angola, and Kenya, trailing billions of dollars of financing deals in his wake, much is being written about how China is perceived in Africa. I would argue that this perspective leaves out a fundamental issue: China has no straightforward relationship with Africans. Rather, the Chinese government’s focus on bilateral relations with governments means that its relationship with Africans is always refracted through the relationship between Africans and their own governments. While people-to-people exchange is becoming a regular theme of Chinese government discourse on Africa, even these encounters are frequently mediated by government structures, including the state-owned press This means that anyone interested in China’s image in Africa also has to take into account the way that African governments make use of their relationship with China. This is particularly true in the case of Angola. The Angolan government has proven itself very adept at using its relationship to China to grow its economy, and to draw in financing from more traditional donors. This has in turn strengthened the position of Angola’s ruling family.. This dynamic is also visible in the Democratic Republic of Congo. While it is of course completely legitimate to ask HOW China is doing in Africa, I feel that the question can’t be uncoupled from the much less examined question of WHAT African governments are doing with China in Africa. This extends to how African governments choose to use Chinese-made and Chinese-funded technology against their own people, for example, the Ethiopian government’s use of Chinese-made surveillance equipment. Weak African regulation and enforcement also often contribute to the flourishing of destructive shadow economies feeding Chinese appetites, for example, the Kenyan ivory trade until recently. The Kenyan government has proven that the act of an African government cracking down on the stripping of African resources and putting the issue on the agenda, can induce the Chinese government to take action. However, this will only happen when African voters demand it. Only then will we really be able to say how China is doing in Africa.